Mr. Gattaz, you were elected the president of BusinessEurope at a time when the EU is facing a lot of challenges. What are your main priorities for the mandate? As entrepreneurs, we know that Europe is not an option but an absolute necessity. I believe we are at a turning point for Europe’s future and its place in the world. It is an honour, but also an immense responsibility to take the leadership of BusinessEurope and speak on behalf of the European business community in these challenging times. One of the key priorities I want to tackle during my presidency is to ensure that the European Union can play its full role in this changing world. My main task will be to make sure that the unprecedented uncertainties we are facing lead to a new global order rather than global disorder. In a world undergoing profound changes, companies are a crucial factor of adaptation while ensuring stability. They bring 80% of the solutions to the problems that people are facing. Companies are also a link between countries and a tensions absorber because doing trade allows to understand each other better and to find common solutions. The whole EU and especially businesses are watching carefully the Brexit negotiations. According to recent analyses, the Czech Republic would be the 5th most negatively impacted country in the EU by Brexit. What is the outcome of the negotiations that the business community hopes for? First, we have to tell that, from a business point of view, Brexit is bad news, for the United Kingdom and for all the EU members. But we have to manage it in the most rational way possible. Our first priority is to avoid a “cliff-edge” with the UK leaving the EU in March 2019 without a deal. This would create major disruptions for business in the EU and the UK. To have a smooth UK’s exit, we need to get the withdrawal agreement done in time for ratification by parliaments in the EU and the UK. This agreement includes a transition period that lasts until December 2020 with the UK staying in the customs union and the Single Market. This will allow time for companies to adjust and prepare for the new situation of the UK as a third country. Companies have to plan ahead and need certainty and a level playing field to mitigate the impact of Brexit on trade and investment. In the medium term we want to maintain as close as possible economic relation with the UK without jeopardising the integrity of the Single Market. Choices will have to be made, particularly in the UK between regulatory independence and maintaining comprehensive access to the EU market. A free trade agreement cannot provide the same level of frictionless trade as a customs union, nor a similar level of regulatory alignment as staying in the Single Market. Recently the EU-US relationship has taken a very different path than expected couple of years ago and instead of concluding TTIP, the US decided to implement protectionist measures. What should be the response of the EU according to businesses? The EU is trying to maintain a positive trade agenda with the US despite the very disruptive trade policy pursued by the Trump administration. We are cooperating on the reform of the World Trade Organisation (WTO) and how to address overcapacity, subsidies and other market distortive practices. We are also negotiating bilaterally following a joint declaration signed in July by Presidents Juncker and Trump. These bilateral negotiations cover fields that are important for European business and were already discussed during the Transatlantic Trade and Investment Partnership (TTIP) negotiations, in particular regulatory cooperation. Non-tariff barriers are still hampering trade between the EU and the US in a number of industrial sectors, like automotive, chemicals, pharmaceuticals, engineering, medical devices, textiles. If we manage to address some of these barriers reducing costs for companies on both sides of the Atlantic, it would be a major achievement. The possibility of a tariff agreement on industrial goods is also on the table. To be meaningful and compatible with the WTO, the agreement needs to cover all industrial goods including cars. We hope this positive agenda will avoid other unilateral measures from the US, in particular the imposition of additional duties on our car exports. However, if this is not the case the EU will have to respond in a balanced and rational way. The energy transition in the EU is mainly driven by the need to tackle climate change. Are businesses ready for the kind of transition which is promoted by the EU institutions and the uptake of low carbon technologies? The energy transition is indeed very much driven by the need to combat climate change. We have witnessed evolutions in positions within the business community, reflecting new market realities, technological developments and also public perception. European industry at large has clearly embraced the need to transition to low-carbon economy. BusinessEurope and our members strongly support the EU ambition on climate action and the implementation of the Paris Agreement. We expect nothing less from our international trading partners in terms of ambition. As it was clearly stated in the recent report of the Intergovernmental Panel on Climate Change (IPCC) we all need to be equally ambitious to reach this objective. The EU has a solid set of policies in place to reach its ambitious targets and EU business stands ready to provide the solutions, as it has always done. Now we are working with our members on an energy and climate vision in view of the European elections. We intend to provide the newly- elected decision-makers with solutions to make the energy transition in the EU a success for companies and society at large. The Czech Republic has the lowest unemployment rate, the economy is performing well, yet the Czechs remain to be among the biggest Eurosceptics in the whole EU. What do you think needs to be done to change the Eurosceptic tendencies and the mindset in the EU as such? It is indeed a paradox to have such Euroscepticism in a country that benefitted so much economically from its integration in the European Union. This shows that this Euroscepticism is the expression of different fears. In some countries it is the fear of poverty or unemployment. In other countries, it is a fear of losing the national identity. These fears are then exploited by populists who propose simplistic solutions that do not work, things that cannot be delivered and use the EU as a scapegoat to explain their failure. The business community has a strong responsibility to speak up, and say very clearly that the EU is the solution and not the problem. We need to repair the damage of years of blame- game concerning the EU. Also, the national government must demonstrate the capacity to act when an issue is truly European by agreeing on common solutions. For example, we need to move away from ad hoc crisis management and build a coordinated European solution to better manage migration. The other obvious example is trade policy. European countries are stronger together than when acting alone in today’s world. We must remain united to achieve political, economic and social progress and maintain the European way of life. The EU Parliamentary elections are rapidly approaching. What will be the main messages of BusinessEurope to future Members of the European Parliament? The European elections 2019 will be crucial for Europe. Citizens will vote for new Members of the European Parliament, then a new European Commission will be appointed for the next five years. We will call on entrepreneurs and citizens to go and vote because these elections will be shaping the European landscape for the next years. And to the future members of the European Parliament, we will say that there is an urgent need to put our European house in order. In a world where geopolitical hardball is played and with geo-economic competition, the EU must invest more in its own capacities and help its companies to face tomorrow’s challenges. We need business competitiveness, simplification and skills to be at the heart of the European strategy. BusinessEurope is celebrating its 60th anniversary this year. What is the vision of European businesses for the years to come? We want to see Europe where companies can fully play their role in society. And for that we need a European Union that is strong and independent globally. A European Union that is a global leader in innovation and digitalisation. An energy efficient European Union, which reconciles security of supply, affordability and sustainability. A European Union with a functioning Single Market and Economic and Monetary Union. An inclusive European Union, where prosperity is shared across society. I have no doubt that our businesses can drive innovation, digitalisation, the circular economy and sustainability. We have key players in robotics, automotive and other manufacturing activities. We are at the forefront in technological solutions to tackle climate change. If we join forces and are supported by a business-friendly environment, we will be able to deliver the economic and social progress that EU citizens experienced in the last six decades. 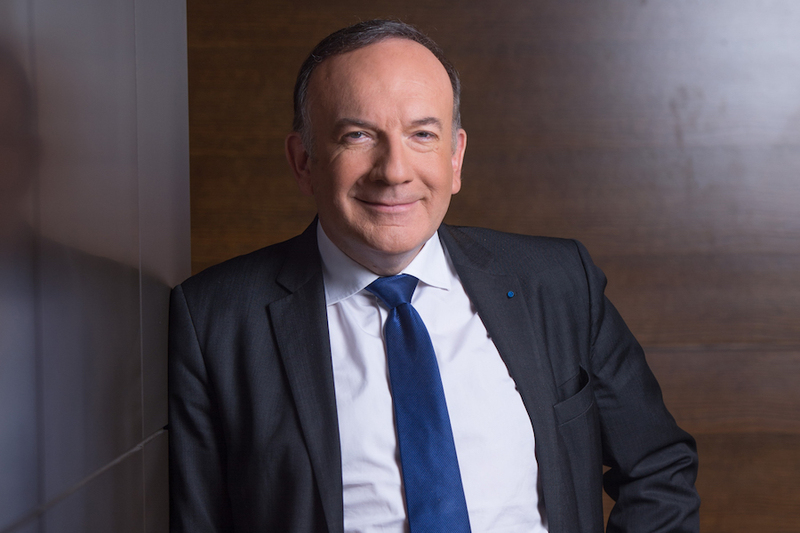 Pierre Gattaz became President of BusinessEurope on 5 July 2018. Until then, he held the Presidency of BusinessEurope’s French member federation MEDEF. BusinessEurope, founded in 1958 in Brussels, is the leading advocate for growth and competitiveness at European level, standing up for companies across the continent and campaigning on the issues that most influence their performance. We speak for all-sized enterprises in 34 European countries whose national business federations are our direct members.